Welcome Chappy. 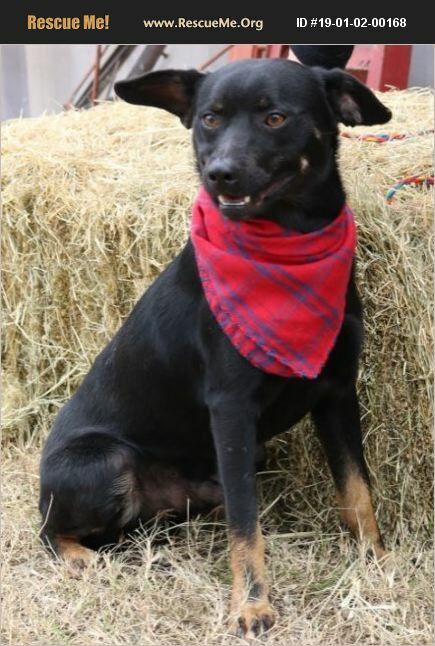 He is a Manchester Terrier/Shepherd mix. He is about 1.5 years old and medium sized. Weight is about 25 pounds. He would be best in a quieter home with an older couple or person. He would be a great companion for a single person or couple. He warms up slowly and responds to a slow gentle touch and slower approach. We can assume he was hit or injured with a swift movement so he is not a fan those movements. We would think teenage children or no children would be his best home. He will make a wonderful companion for some lucky family. He deserves a forever home with a kind and gentle family. He was rescued out of one of the local high kill and overcrowded shelters that came to us for help. He is currently in Texas and can be adopted locally or transported to the East or the West Coast. We would think teenage children or no children would be his best home. His adoption fee is 200 and transport is 185. Contact Marlene at 210-867-1769 or email to maudreyh@aol.com for an application. See his cute video! !